Maria’s work is grounded in science and technology studies, feminist theory and the environmental humanities. She is interested in how questions of ethics, politics and justice affect and are affected by scientific practices, as well as on the socio-cultural imaginaries enacted by technoscientific interventions. Her other main broad research interest is in alternative spaces of knowing and doing – currently focused on everyday forms of ecological care, permaculture movements and materialist spiritualities. Her current research on ‘The Reanimation of Soils. Transforming Human-Soil Affections Through Science, Culture and Community’, is an exploration of contemporary changes in human-soil relations. She has published her work in 3 books, numerous journal articles and book chapters. 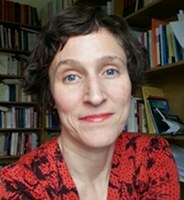 Her most recent book, Matters of Care: Speculative Ethics in More Than Human Worlds, was published in 2017 by University Minnesota Press.